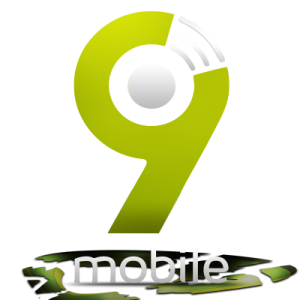 9mobile has been around all this time. From Etisalat, the telecom network rebranded with new juicy plans for it's customers. 9mobile cheap call plans is what is to be learned today and surely this telecom network doesn't play with calls rates among other things. They are admired for giving out good signals where there is availability of network and so is their calls as we will see. This plan offers 15 Kobo/Sec call rate for both local and international calls. There is however a restriction as a daily access fee of N5 is capped to the plan. If in a month, the N5 is deducted to more than 20 times, you will be given 15 minutes free data plus 15 minutes free on net calls. Recharges above N5000 naira within a month gives you free incoming calls while roaming on selected networks in 14 countries. To migrate to this 9mobile tariff plans, simply dial *620*1# or send 1 to 620 as sms. This tariff plan gives users bonuses upon recharges; You get free 300 Naira or N100 Naira bonus airtime to call 5 you and me numbers upon airtime recharge of N200 or N100 Naira respectively. To the joy of micro internet surfers, a free 10MB data is gifted when you recharge 100 Naira and above. The data and airtime bonus are only gifted once in a week (7 days). You can also make your receiver pay for the call by putting 268 before the number you want to call. ₹ To register a 9mobile number on you & me, dial *233*1*. ₹ Dial *233*2* to remove a number from your list. ₹ Check all numbers on your list by dialing *233#. ₹ The call rate for 9mobile moretalk tariff plan is 40 K/S, however, once you’ve used N25 in a day, the call rate drops to 25 K/Sec. New subscribers can migrate to this tariff plan by putting a call to 200 then press 1. Existing Subscribers should dial *244*2#. This plan is just a value one. You subscribe to get more value from your airtime for a particular period of time. You either get more airtime or more data. In the same vein, 2000 Naira subscription attracts 350% bonus for voice+ bundles. If however, you recharge N5000 Naira and above in a month, you will get free incoming calls while roaming on selected networks in 14 countries which were listed already above. This valids for 30 days. The call rate for both local and international calls on the call plan is 40 Kobo/Second. As a sample, Moreflex evolution 500 Naira plan gives N1500 for local and international calls plus 75MB. To opt in to moreflex evolution 9mobile tariff, dial *320#. Opt out by dialing *300*0#. Check your balance with *232#. Note that renewal is automatic upon exhaustion or expiration on this value plan. That's all for 9mobile cheapest tariff plans. There are others which are cheap but the three are clearly the cheapest on the network you should try.